I am amazed to see that I've had over 2000 hits since I started this blog in April. Originally, I started this blog because I can type much faster than I can write. Little did I know, that my blog is being read by many folks who can relate to what I'm going through. I still have not told my son about this blog. I don't feel that my blog should be a secret from him. I simply feel that he isn't ready to understand what I am writing. So, for now, I just don't mention it to him. This blog is my therapy...a way to share my thoughts. My son is slowly, but surely, starting to grow into a young man. I just don't know if he can fully understand how difficult it is to be his mom. Parenting is the most difficult job I've ever had-- many parents are nodding their heads in agreeement as they read this, I don't doubt. My life became even more complicated when my marriage came to an end. Being a single parent was one of the most difficult challenges that I never counted on. I was pretty broke. Each day I struggled with making ends meet. I was pretty angry at how his father left us-- without any notice. I lost everything, in that divorce...except for one thing. I was "saved" when I sought answers at a church I had heard about. From all my troubled times, I found the power of forgiveness. That is how I have been able to forgive my "ex" and to move forward in my life. I wanted to find a peaceful way to co-parent with B's father. It wasn't entirely successful, but at least I found peace. I've owned up to my own mistakes, as a mom. At times, I wish I hadn't let B push me to the point that I gave in to what he wanted. I wish I had been more vigilant in finding B's drug paraphanalia-- he has told me it was hidden in his closet, but I never found it. I wish that I had picked my battles more carefully-- at times, I flew off the handle and overreacted in how I handled situations with my teenager. I wish that I had persisted in having him drug-tested, but I didn't know how to make that happen. I did learn to say "I'm sorry" to him and to admit when I overreacted. I did my best to grow into the kind of mom that I never had. Don't get me wrong-- my mom did a lot of things right. But, I never had a relationship with her that was as loving as I hoped I could develop with my son. I wonder if my son has his own regrets. I work at a high school, so I observe so many of the students that I can see on campus. When they think I'm not looking, I see behaviors that are so similar to my son's. Though B is a drug addict, he's still a kid. He is a typical teenager. I love teens, for the most part. They amuse me. I can relate to them. They don't make me nervous. I hope to wait until my son has a couple of years of sobriety he can claim. I'm waiting for him to mature (I am told that age "25" is a magic number for boys). That is when I hope that my son will read my blog, and that he can better understand why I have been so open and honest about my feelings...my frustrations...my hurts. I have not heard from B since Sunday morning. I know that he is traveling with the race team. Every night, while I'm at that point of being in my fetal position in my bed-- my husband beside me-- I count my blessings. My son is high on that list. God has been so merciful to him. I still marvel that B remains with no criminal record, no "911" emergency calls and that he is alive and well. Your comments are so encouraging to me. If my blog can help ANYONE who is going through drug addiction-- please let them know how to find me. It would mean a lot to me if I can encourage them. I know that my last blog was very long. I have come to realize that "blogging" is a high-tech way to journal. Journaling is therapeutic. At least, for me, it is. So, today I am feeling peace in my life. I want to be optimistic that my son has everything he needs to learn how to live on his own. He has a full-time job. He has a new place to live. He has a car. He also has a few things that many people don't have-- he has health insurance (that we pay for) and he has car insurance (that his father pays for... and I have no say in that one). Is my son using? That's the million dollar question. I have to say "I hope not". My son failed a drug test. Why is something that is between B and God. I've heard it all before-- I've heard my son swear he's clean many times before he went into a treatment center. Since he was discharged, at the end of April, I can only gage his sobriety by his behavior. Before his detox, my son was highly irresponsible. Telltale signs that something was amiss was his body. He stands tall at 6'3 and is already pretty thin. B grew very thin when he was using. His eyes were dialated, and sometimes they were barely open. He always had dry-mouth. B couldn't sit still for long-- his knees would shake up and down, like a nervous twitch. The most frustrating part was that I could not understand my son. He spoke fast, and I felt like he was speaking a foreign language. B was always begging for money, and he was always broke. I noticed that his laptop was gone. He sold anything that he owned to buy drugs. The worst part of my son's addiction was that the two of us butted heads all the time. He was sweet and charming when he needed money. Otherwise, he wouldn't answer his phone or he'd get mad at me when I'd say "no" to him. Today, I don't see that kind of behavior. What I see in my son is laughter again. His eyes are bright and alive again. He eats me out of house and home, when he comes to visit. Yeah, he's still irresponsible-- but he's also a nineteen year old kid who lost two years of his life to drugs. He's also a kid whose parents divorced when he was seven. It didn't take long for my son to learn that two different households had two different rules. The end result, is that my teenager perfected the art of manipulation. A teenager who is also a drug addict-- what a combination! I am hopeful that my son and I are rebuilding a relationship of trust that has been broken between us. There is a long road ahead for my son-- he is walking a very brittle line between sobriety and the "call" of drugs. In a very small way, I can understand how difficult it is to fight addiction. I am addicted to sugar. When I'm feeling stressed (or occasionally bored), my brain starts telling me that a nice big chocolate bar would taste so good. If I give in to that craving, the worst damage I've done is to my waist and my scale. For my son, giving in to his brain calling out for an opiate "high" would potentially put him back into a tailspin of drug addiction. I need to focus on being the kind of mother who is a safe and supportive person he can turn to when he is feeling "lost". I feel so bad that my son has to grow up so fast, without the life skills he needs. This is not what I had planned for him-- I had hopes and dreams that he'd go to college and be the first college graduate in my family tree. He is the greatest gift I've been given. I will never give up on him. He has the charm, intelligence and a group of supportive friends and family. I only wish that he would understand how much he needs to find a sponsor and to work the 12-Steps. He needs to look to his higher power to help him fight the urges to "use" when he feels overwhelmed. My son is a believer in Jesus Christ. Is he following him right now? I can only pray for him every single day. When I first started this blog, five months ago, my purpose was to find a way to update my family and friends on how my son is doing. 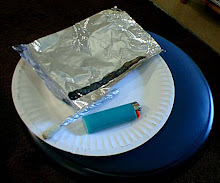 This blog started to evolve into my own "ministry" about drug addiction. I was surprised at how many "hits" I was getting from total strangers. Subconsciously, I think that I allowed myself to think that my son is fully recovered. That is dangerous thinking, I know. But, I think, that' s why this blog didn't see like such a vital ministry anymore. My son started a new job on August 28th. He is working for a racing team as a "glorified gopher". Of course, that's my own definition of it. B seems to love his job, because the hours are long and it's hard work. He's having to load the race car transporter and to be at the beck and call of the race team. He loves being in the race pit, and all the excitement that goes with it. Now, that's the good news. The rest of the blanks have stressed me to no end. My son's life seems to be filled with so much drama. How can my son feel any kind of peace in his life? Last Wednesday, my phone rang at 1:15am. It was my son, sounding pretty shaken. He told me that he had returned to his apartment (B had been staying at his dad's house for a week) in Benicia. He said that his roommate "A", began pounding on his bedroom door and then bolted into the room. "A" was very drunk (my son had found empty beer bottles in the kitchen). "A" started yelling at him and then "A" left in his car. As a mom, let me say that this is very upsetting. I cannot bear the thought of anyone threatening my son. My maternal instincts kick into high gear-- I become "Mama Bear" who wants to protect her cub. I told my son to call the police, if "A" returned. I was thankful that my son had given 30-days notice to leave that apartment-- and that was coming up in a few days. The relationship between my son and his roommate had deteriorated-- mostly because "A" was drinking again. The 30-day notice would expire in four days. Of course, I could not sleep for the rest of the night. So, I logged on to Craig's List and looked for places for my son to rent. That's where I spotted a Sober Living Environment in my son's hometown and another room for rent. I decided to contact these places at a decent hour-- it was 3:30am before I went back to bed. I couldn't sleep, though, worrying that my son was in danger. Each evening, my son would check in with me-- after working 12-14 hour days. There was no word from "A". He was missing in action. My guess was that he checked into a motel to drink. Unfortunately, that's not uncommon for addicts to do. I began to toss and turn at night, with worry. Yes, I was praying. Yes, I know that when I give my worries to God, I need to trust in Him. But, I couldn't stop worrying about my son. It's a mother's curse. Three days later, my husband and I drove to Benicia in the morning-- it was Labor Day Weekend. I wanted to preview the Sober Living Environment that I had found. I had spoken with the people who ran this SLE and told them the situation. They were so accommodating, and supportive and wanting my son to become a resident. I was so hopeful that my son would move into this SLE. I still believe that an addict, who is serious about their recovery, should live in an SLE for at least a year. If an SLE is well-run, residents will be randomly drug-tested and will be required to attend 12-step meetings. That's what I found at the SLE that I visited-- I found that the house manager would have been the perfect "fit" for my son. It was a lovely home, that I would have lived in myself. I had promised my son one more month's rent (from his trust account) but that would be the end of the help to get him on his feet. 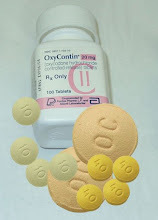 It has been five months, since my son was admitted into a treatment center for his addiction to oxy-contin. So, I wrote the rent check to the SLE and my heart was feeling so hopeful and relieved. I don't think that I'm an enabler. I say this, because I decided to pack my son's apartment that day, while he was working. Yes, that sounds like I was enabling him... my logic was that my son was in possible danger. I wanted to get him out of the apartment, and we were there with my Jeep. My husband worked, hard, loading things down the stairs and into my Jeep. I packed up the things I had given or bought for my son, from the kitchen. It was stressful, because my husband was not happy about what we were doing. The tension between us started to thicken-- that's unusual, because we get along so well. I felt, in my heart, that there was no choice. My son could not call in "sick" because he started the job two days earlier. I wanted my son out of that apartment and far away from "A". B finally got off work five hours after we had arrived. We took him to see the SLE and to meet the house manager. We had already moved B's things into the SLE-- and then disaster happened. My son failed the drug test. There it was-- a "positive" for opiates. My heart sank, and I wanted to cry. I didn't, and I kept a strong facade that I was going to let my son deal with the consequences. I won't even get into the "why". B swears that he was taking a prescribed narcotic for the back injury he suffered from his car accident. No matter what, an SLE cannot allow anyone to be a resident if their test comes up "dirty". The house manager returned my checks. I could tell that he felt really bad, but I knew that this is how things had to be. B was really upset and I could see he was starting to stress. So, we loaded up his things again and returned to the apartment. I drove home, feeling discouraged, afraid, disappointed and just plain worried about my son. Over and over, in my head, I kept rehearsing all of the events in my son's life since he was admitted into treatment. I realized that my son's five months of sobriety was now returned to Day One. The odometer had rolled back...and I wondered if my son realized this. I could not sleep at night-- I'd wake up at 3:00am, wondering when "A" would return. I wanted my son out of that apartment, but he had nowhere to go. My best friend would not let him stay at their house, since he had tested positive. I would not call my son-- I had to let him figure things out. Still, I could feel my body feeling exhausted and stressed. I could not meddle. B's father asked me to plead with the SLE, but I told him that I was not going to interfere. This would be my son's mess to clean up. Tuesday morning, on my way out the door to work, the phone rang. It was my son-- "A" had returned, and had bolted into his room and threatened him to get the "f" out of his apartment. He literally threw my son out the door. What could I do? I prayed and I drove to work. My head was spinning. I had to focus on my job. I could not share with anyone what was going on in my personal life. I have a job to do, people who are depending on me to do it-- and I could not let my personal problems affect my quality of work. With that said, B's father drove up get my son's belongings out of the apartment. They had to call the police, because "A" had changed the locks. So, for two nights, B has spent the last of his money staying at a Motel 6. I know that this is Life Skills 101 for him, and at least I felt he was "safe". I could finally sleep through the night. Last night, my son called to say that he met with the man who was renting a room at a condo. I had found this condo on Craig's List, too. B was accepted to move in to this place. I don't know what to say-- this man is in his late 50's and he has a 20 year old son (who doesn't live there). I told my son that if he did not move into an SLE, that he cannot ask me for anymore help. If he loses his job, or mismanages his money, he is on his own. I mean it. This morning, B's father is on the way to pick up B's belonging that are in storage at my best friend's garage. I have given my son his last rent check help from his trust account. B slept in his car, last night. Again, this is good character building, I hope. Of course, I worried about him being safe. So, here we are-- a new home for my son... this will be his four new place in five months. I can only say that I pray that this new home is part of God's plan for him. I pray that this new roommate is going to be sober, safe and sane. What would make me happy is for my son to have joy in his life. Being "happy", to me is too worldly. Having money makes us happy. Having "fun" makes us happy. But "happy" can be short-lived. I pray that my son will discovered the wonderful feeling of "peace" and "joy" that only the Lord can give us. I say this, from experience. In my deepest part of my heart-- my spirit, my soul... I believe that only my Lord, Jesus Christ, can fill me with "peace" and "joy". Even when times are troubled, when I feel afraid or worried-- I know that when I become quiet and still enough, that I can receive "peace" and "joy" from my Heavenly father-- because He will never forsake me. That is His promise. Despite all the stress that my son puts me through, I can draw on that "peace and joy" and feel thankful for all that I have. Right now, I pray for peace and joy in my son's life. Where his sobriety is now ...who knows... I pray that my son will find calm in the storms of his life. I continue to pray for those who are addicted to drugs and alcohol. They need to "work" the program for the rest of their lives. There is no cure for addiction. I need to remind myself that my son IS an addict, and he always will be. He will always struggle with wanting to "use". His battle is still waging on, and I need to be careful that I don't think that it's over.